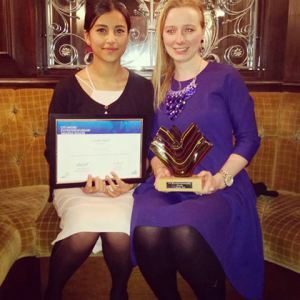 On the 4th of March Fair Finance attended the annual Citi Micro Entrepreneurship Awards. We were nominated for the CDFI Growth award and we won! Fair Finance has grown substantially within the last 10 years. In 2005 we opened our first office, now we have 6, enabling us to reach more areas in need. We’ve helped over 12,000 people with affordable personal loans and many more with our other services, including debt advice and, most recently, the re-launch of business loans. From a team of 6 we’ve become a team of 36. The last year in particular has seen our best year of growth. Fair Finance has grown 75% and is still expanding. • The steps key players can take in this sector can take to ensure fair treatment of customers, looking at what affect recent regulation and future regulation could have. • Hearing from various organisations such as moneyline share examples of their best practice, how they had grown and been able to help their clients. • The emerging ideas from those working outside of mainstream banking to promote financial inclusion such as financial education at an earlier age in schools. We had a great couple of days with CDFA, learning about other business’s who are working to be sustainable and promote ethical practices in finance. 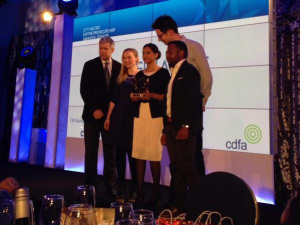 We’d like to take the opportunity to thank the CDFA & Citi for recognising our work.